I woke up this morning with the Vince Cable Blues, owing to an item on the BBC News concerning a speech by the Secretary of State for Business, Innovation and Skills that clearly signals that the forthcoming Comprehensive Spending Review will entail big cuts to the UK’s science budget. It was a depressing way to start the day, but I for one wasn’t particularly surprised by the news. We all know big cuts are coming, the only remaining questions are “how big?” and “where?”. However, when the text of the speech was released, I was shocked by what it revealed about the Secretary of State’s grasp of his brief. Read it for yourself and see if you agree with me. Of course there are the obligatory platitudes about the quality of the UK’s scientific research, a lot of flannel about the importance of “blue skies” thinking, before he settles on the utilitarian line favoured by the Treasury mandarins who no doubt wrote his speech for him: greater concentration of research funding into areas that are “theoretically outstanding” (judged how?) or “commercially useful” (when?). In fact one wonders what the point of this speech was, as it said very little that was specific except that the government is going to cut science. We knew that already. So was Cable’s speech was feeble-minded, riddled with clichés, and totally lacking in depth or detail? Yes. Was it surprising? No. Its is worth noting in the last RAE 54 per cent of submitted work was defined as world class and that is the area where funding should be concentrated. This appears to be what Cable was referring to when he stated on the BBC Radio 4 Today Programme that “45% of research grants were not of excellent standard”. For one thing, there’s a difference between a research grant and the money allocated by HEFCE through the Research Assessment Exercise (RAE); more about that in a moment. Moreover, at least in England, RAE funding is only allocated to grades 3* and 4* anyway, so the concentration he talks about is already happening. The comment is made all the more meaningless, however, because the 54% was actually imposed on the assessment panels anyway; they were told to match the outcome of their deliberations to a target profile. The figure quoted is therefore hardly an objective measure of the quality of scientific research in the UK. When it comes to research grants – usually obtained from one of the Research Councils, such as the Science and Technology Facilities Council (STFC) scientists apply for funding and their proposals are assessed by panels. In the case of STFC I can assure every one that the only proposals funded are those graded excellent, and there isn’t anything like enough money to fund all the proposals graded that way. Further cuts will simply mean that even more excellent research will have to be scrapped, and even more excellent scientists will go abroad. This basic misunderstanding convinces me that Vince Cable is completely out of his depth in this job. That’s very unfortunate because it means he will probably be susceptible to manipulation by the dark side (i.e. the anti-science lobby in Whitehall). Already someone – most likely a Civil Service mandarin with an axe to grind – seems to have duped him into thinking that 45% of taxpayer’s money funds mediocre research. What with him already singing so enthusiastically from the Treasury hymn sheet, I fear they have got him exactly where they want him. Rarely has a new arrival in the Whitehall jungle gone native so quickly. Another remark of his that was quoted today is that “the bar will have to be raised somewhat” in terms of science funding. At the next General Election I hope the British people, especially those foolish enough to opt for the Liberal Democrats last time, will “raise the bar” when it comes to deciding who is worthy of their vote. I’m sure of one thing, though. The fraction of British politicians who are “mediocre” is an awful lot higher than 45%. This entry was posted on September 8, 2010 at 1:55 pm and is filed under Politics, Science Politics with tags BIS, HEFCE, RAE, Research Funding, research grants, Science Policy, STFC, Vince Cable. You can follow any responses to this entry through the RSS 2.0 feed. You can leave a response, or trackback from your own site. 54% was actually imposed on the assessment panels anyway; they were told to match the outcome of their deliberations to a target profile. How exactly was this imposed on the panels? I assume it wasn’t as simple as telling them to award 4* to 54%, because that’s a bizarre figure to impose… This seems to me to be a pretty key point, and I’m afraid I’m not an RAE expert. Anyone know? In fact the 54% refers to 3* and 4* combined. The panels were told to produce a profile that “broadly” matched one fixed by HEFCE. There was, however, some variation between disciplines. If there’s anyone reading this who was on the RAE panel I’d be interest to hear their reaction. So this would mean that each RC would get very different cuts depending on how much research is above the 2* threshold. Contrary to what is stated above we currently do allocate some funds (£115m out of £1.6bn in total) based on the amount of 2* work in a department’s profile. The panels were not asked to mark to a norm reference as suggested above – this point has already been made in the comments. With the help of international members (and working within main panels) the sub-panels were asked to allocate star gradings with reference to the criteria in the assessment system. Thanks for the clarification about 2*. I thought HEFCE had changed it’s allocation formula to exclude 2* which, incidentally, means “Internationally Recognised”. I’m not so familiar with the HEFCE formula as, here in Wales, HEFCW does it differently. Your comment about “norm referencing” confuses me and contradicts what I’ve been told by a number of people about the Physics sub-panel, namely that they were instructed to ensure their returns “broadly matched” a target profile. I know I’m coming to this debate rather late in the day but David Sweeney’s comment re. norm referencing also confuses me. Like Peter, I understood that the Physics RAE sub-panel (at least) did receive instruction that they should aim for a particular distribution of 4*,3* etc… That is, there *was* norm-referencing. Cable is hardly the first minister to fail to grasp the difference between HEFCE/RAE-allocated QR funding and RCUK grant funding mechanisms. Paul Drayson similarly misunderstood this. I’d hoped that Cable would be rather more on top of his brief but as Peter says, it’s perhaps not so surprising that he’s not. From a recent meeting some colleagues had with David Willetts, he’s significantly better informed. I’ve had it confirmed by several independent people that norm-referencing was indeed imposed on the Physics RAE sub-panel. This flatly contradicts David Sweeney’s comment. I’m prepared to stand by what I said, i.e. that the fraction of 1* and 2* research was imposed on the panel. There was no apriori decision about the percentages awarded to 1*-4*. If you look at the results across different UoAs you can see differences, indeed differences which gave rise to comment that some panels had marked to different standards than others. No norm-referencing there then. What did happen, and was a new and explicit feature of the 2008 exercise, is that main panel chairs, aided by international members, advised sub-panels on matters of comparability of sub-panel results within main panels. There was no such process between main panels Subsequent comment recognised the relative success of this in that the critical comments were mostly (though not all) about disparities between main panels, not between sub-panels within main panels. Panel members may well, therefore, have seen ‘external’ advice on standards but it did not derive from any a priori decision. Thanks for responding. Let me get this straight, however. You are saying that there was a steer, from the Main Panel Chair (Panel E in the case of physics), for sub-panels to agree “comparable” percentages of 4*, 3*, 2*, and 1* gradings. Is this a fair statement? If so, how is this not norm-referencing? The key point, as you know, is not whether HEFCE had an “a priori” distribution in mind but whether the panels were guided/steered to produce a particular distribution. You seem to be confirming the latter, thus backing up Peter’s claim re. a taregt profile in his blog post. I thought actually your key point – understandable in the light of the general issue – was about a national setting of the percentages for each star rating . In your words… ‘ But if HEFCE has “a priori” decided that only 54% of UK research can meet the grade then …errmm…’. My point is that this did not take place. Panels and sub-panels were asked to interpret the definition of the quality levels and provide criteria statements. These were published in January 2006 (RAE 001/2006) and I see that the Physics panel, for example, gave a very full explanation of how it was interpreting the criteria. Allocation of outputs to star levels were against those criteria (call criterion-referencing by us), not by the requirement to follow an a priori profile (norm referencing). It was the job of Main Panels to work with sub-panels and ensure that within the main panel, those criteria were interpreted in a broadly comparable way. The detail on this is on p17 of the Panel E document from RAE 001/2006. Apologies for confusing the issue with regard to panel vs sub-panel deliberations. Nonetheless, in your most recent comment in this thread (Sept. 13, 10:18 am) you again flat-out contradict what Peter and I have been told re. the Physics sub-panel. You state “Allocation of outputs to star levels were against those criteria (call criterion-referencing by us), not by the requirement to follow an a priori profile (norm referencing).” This you say took place for “panels and sub-panels”. So, your claim is – if you’ll allow me to doggedly follow through the logic – that the Physics sub-panel was not required to follow a target profile with specific percentages allocated to 4*, 3*, 2*, and 1*. I am now even more confused than I was before. Just to narrow the question down, are you saying that the physics sub-panel was *not* given a target profile to work to when it went through the submissions it received? The closing remark about “those foolish enough to opt for the Liberal Democrats last time” seems rather harsh as it would probably have been worse under a pure Conservative government that wanted even more cuts and less taxes. (See the cuts/taxes proposals from each party mentioned here http://www.guardian.co.uk/science/political-science/2010/sep/08/science-spending-cuts-vince-cable) and if it wasn’t for the large support for the Conservatives then we might have had a Lib/Lab Coalition instead. Furthermore, the crisis at the STFC was wholly ignored by New Labour which shows a worrying lack of respect for British science and so I lack confidence that they wouldn’t have exacted similar cuts in any case. The problem is that we still haven’t reversed the damage from Thatcher’s cuts to science funding and yet in the years since the low tax Reaganite policies seem to have been accepted as gospel by all the major parties. When it came to the election, whoever won – science lost. Incidentally I am one of the foolish Lib Dem voters, but it isn’t just guilt that made me post my comment. I honestly believe the Lib Dems were the best choice at the last election and still are, although it is sad seeing excellent Lib Dem ministers reduced to merely trying to soften the Conservative blows. I would also disagree with Peter’s comment about people being foolish enough to vote for the Liberal Democrats at last May’s election. The Liberal Democrats showed the strongest commitment to science among the three largest British political parties in the lead up to the general election. The party’s then science spokesman, Evan Harris, guaranteed that a Liberal Democrat government would maintain science funding if the party formed a government after the election. The Conservative Party’s science spokesman at the time did not offer such a guarantee but spoke of the importance of maintaining science funding. The problem here is that people voted in the general election on the promises made by political parties, but now that those parties are in government, the promises have been abandoned. Yes, there are significant economic problems at present, but we have seen a 180-degree change in policy by many politicians following the election. Before the election, they were prepared to formulate policy on the basis of evidence, consultation and rational thought; now they seem to be making policy up on the basis of hunches and half-remembered, half-understood statistics, with no reference to their democratic mandate. Many people voted Liberal Democrat on the basis of the party’s promises at the election, an understable decision. The problem is that the party is implementing a completely different set of policies that their then voters would not have supported. I agree that this problem is not restricted to the governing parties. The STFC formation and subsequent funding crisis took place under a Labour government. One motivation for the STFC was a push for “short term value for money” from research. I don’t see any party sticking up for blue skies research. Figures quoted this morning, by Business Secretary Vince Cable, on BBC Radio 4’s Today Programme misleadingly suggested that 45% of research in the UK was not of an excellent standard. The figure quoted was derived from the recent Research Assessment Exercise (RAE) which found that 87% of the research activity is of international quality with 54% being classified as either “world-leading” or “internationally excellent”. Good to see them returning fire. 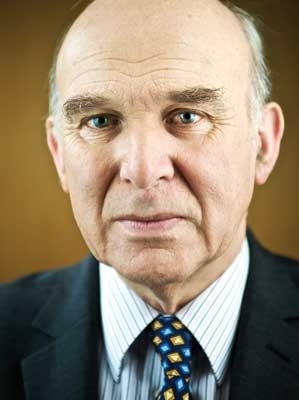 I have to say I am not sure why Vince Cable made this speech in the first place. He tells us cuts are coming … well we had sort of figured that already. He then tells us that he doesn want to “salami-slice”, but to focus funding on certain areas where the UK can be world leading…. debatable, but everyone understands that dilemma. He then supports blue skies research provided its theoretically outstanding… which it mainly is in physics because nothing else gets funded. So, why even make a speech such as this? Peter does receive comments from some distinguished contributors, so I’ll add one as a balance to this. It does happen already but the bar will have to be raised and there was some estimate on the basis of surveys done recently that something of the order of 45% of the research grants that were going through were to research which was not of excellent standard so we are going to have to set the bar a bit higher. For the record, for the benefit of those people not aware of how science funding works in Britain (like Dr. Cable), the truth is all grants funded are of excellent quality. My understanding of how rationing by quality has developed in the funding of grant applications is set out below. Perhaps somebody who has served on a grants awarding panel can correct this if necessary. There once was a time, perhaps 30 years ago, when the quality of grant applications for government funding in Britain were assessed on a scale of alpha (for excellent), beta (very good), gamma, and so on. Those applications classified as grade alpha were nearly all funded, and only some of those classified as grade beta. Then during the 1980s, as funding became harder and scientists improved the quality of their work, only applications rated as alpha – excellent – were funded. Then as conditions became more difficult during the 1980s, a need arose to subdivide the alpha grade into alpha-1 to alpha-5, and only some of those excellent applications could be funded. This process of increasing selectivity has continued so that, for the past decade and more, only a minority of those applications assessed as being excellent have been funded. No applications not graded as excellent have been funded. If Dr. Cable does not understand how science funding operates, he may be better off leaving responsibility for science funding with the science minister. he tells us there’ll be no salami slicing, then describes his intent – an almost word-perfect definition of salami slicing. i expected better, though that clearly makes me the bigger fool. Dr. Harris provides a useful interpretation. The comments that follow, unusually for a newspaper, are mostly intelligent and insightful. It seems that 54% of submitted work by Universities was 3* or 4*, not that 54% of funding went to such projects by imposition or otherwise. I also presume that they would by HEFCE, RCUK, and other sources – as I assume Univs can submit any research for appraisal. The speech was right to call the exercise a survey (although that hardly does justice to the RAE) as it neither a complete, or a truly representative sample of the work done in Universities. It also does not cover the output of RCUK-funded research institutes which would be like Universities subject to to any further squeeze in response mode or project funding. The further point to make is that because it is most definitely not the case that only 54% of QR funding goes so-called “excellent” research (ie 3* and 4* work) there is not so much scope for further focussing this money on such research. I have not seen the figures as to what percentage of HEFCE stream ends up on £8 and 4* work but I suspect it is hard to calculate as the RAE results in an allocation to Universities and departments (not to projects) containing a mixture (set out in increments of 5%) of UC, 1*,2*,3*, 4* and unsubmitted work. I also have not seen the figures – if available – as to how much UC, 1* and 2* research is RCUK funded and by extrapolation (bearing in mind the sample issue above) how much RCUK funding goes on research which is in that 54% of 3* and 4*. Of course RAE is retrospectively assessed while RCUK grant committees assess prospectively which adds a further complication. So even if proper more relevant figures are available there are just too many confounding factors to use RAE scores to judge RCUK (or overall) funded research for quality let alone value for money in the way that Vince Cable seemed to do. It would be better to use the grading of funded applications by research councils. i suspect this would show 100% of the money going on top graded research proposals, by definition. I can only speak for grants within areas covered by the STFC remit, but I can assure you that what I said in the post is true: the only grants that are funded are graded at the highest level of excellence, and there are many graded that way that aren’t funded. I can’t say anything much about how the RAE arrived at its assessments of research quality. We really need someone who was on the panel! To make it even more complicated, Wales and Scotland allocate QR funding by a different formula anyway. I think it’s right, Evan, that it’s better not to mix up the two pillars of the dual support system in the way Cable did. It just gets overwhelmingly confusing to try and talk about RAE profile percentages in the same breath as research council grants. Personally, I don’t think Cable was seriously trying to do that. I think he was just under-prepared and garbled his brief. So I don’t think we should take what he said seriously from an intellectual point of view, though of coure the political repurcussions have been serious. With regards to how much funding is allocated on the basis of the 55 per cent [note, even the 54 figure is actually out!] in England graded 4* or 3*, David Sweeney from HEFCE actually gave us the answer in a comment above – it’s 93 per cent of QR funding. Only £115m out of £1.6bn goes on the basis of 2* (and nothing on 1*). So, as I argued yesterday at http://bit.ly/dgONeH, I think what Cable’s describing in his speech is a policy to abandon funding for 2*. But having said that, I think the problems with that policy are so big that it will be heavily ameliorated before it is applied. Briefly, it shifts money South instead of North, to Oxbridge instead of to the likes of Liverpool or Sheffield, undermines the possibly lowly-cited work done at places like Hertfordshire and Wolverhampton that nonetheless supports expertise that is proving increasingly valuable to industry, drives post-1992 unis out of research and hence reduces competition. And the new universities I’m sure will make a strong case that £1 spent with them generates a lot more value than another £1 spent at Oxbridge – ie this policy *reduces* the efficiency of spending. One source of confusion, even controversy, is the meaning of the word grant. I would interpret the term as meaning the funding provided by the research councils, among others, for specific projects, awarded competitively. On that definition only excellent research has been funded for 20 years or more: Peter’s 100%. I’m not sure grant would be the term I’d use for the research funding from the higher education funding councils, assessed through the research assessment exercise. This has led to the mixing up of the two funding streams of the dual support system that William Cullerne Bown explained above. An additional issue that has been mixed up by some people recently is that the higher education funding council money, allocated following the RAE, is funding provided across all academic disciplines: it is not specifically science funding. It is perhaps wrong to discuss this funding stream as being science funding, rather than general university research funding. The issues about weighting the various grades applies as much to the academic study of French literature or social policy as it does to physics or biotechnology. This might be an opportune moment to state that Dr. Harris was a very powerful advocate for science in the last parliament and greatly influenced science policy for the better. That he is not a member of the current parliament is a sad loss to parliament and to British science. I agree with William that mixing up HEFCE funding (based up RAE score) and research grant funding (from RCs, etc) is unhelpful. FWIW, in the life sciences, excellent rated grants are already not being funded due to lack of cash. I heard on the academic grape vine that one MRC finding round recently funded about 5% of eligible, submitted grant.applications – way down on previous rounds (no details to hand – on way home from sitp). I also have first hand experience of an RC funding a 5 year program grant at 45% of cost, rather than 80-100%, essentially turning it into a project grant. RCs are already only funding the very best the UK has to offer – the last thing we need is more cuts. During its existence, the STFC lost ~40% of astronomy funding and ~50% of nuclear physics funding. Similar amounts were hacked off other STFC science areas. During each squeeze, facilities and missions seem to have survived better than curiosity-driven research. Just before the election, someone chopped off a chunk of STFC money to contrive a space agency — effectively ensuring that this portion is permanently reserved for gizmos and rockets rather than basic science. This means less and less research, relative to more and more industrial subsidy. Where is the dwindling reseach money going? The bibliometrics for grant applications seem skewed against researchers with individual ideas, but skewed in favour of vast collaborations that mass-produce spiritless, many-author papers. STFC’s e-mail announcements to the community seem loaded with creepy hints that grants and fellowships will be judged for relevance to STFC “facilities” — rather than novelty and innate scientific merit. How incestuous is that? So… the physical sciences have been decimated several times over. In the fallout, machines beat people. Cartels and bandwagons beat thinkers. Our discipline is on the brink of collapse. Now, does Dr Cable foreshadow 45% science cuts? What more could they possibly cut? What would remain? It’s unimaginable. Do I misread him? Might the government mercifully decree that the STFC has already done its fair share of cutting, and go no further? There’s a lot of truth in what you say, however I don’t think Cable actually meant to say that science should be cut by 45%. If I read the runes correctly, my deciphering of his speech says that the 45% of research submitted to the last RAE will no longer get any funding. Since that didn’t get much funding anyway, the effect of tweaking the QR formula will be a reduction of a maximum of 7%. Not good, but not 45%. I really don’t think he said anything about research council funding, at least nothing that I could make sense of. Very good points. You could also add that the STFC itself was contrived to make astronomy and particle physics absorb the ballooning cost of facilities like Diamond, from which PPARC would have been insulated. The Woken Postdoc has made some very pertinent points. There seems to be little appreciation outside of the research community of how thinly money is currently spread in British science funding, or of the extreme financial pressures in the system. There has been a cultural revolution in funding since the early 1980s, always seeking to get more productivity for minimal extra expenditure, always squeezing the human element to maximise the scale of research. When extra funding has been given in astronomy, the field I know, it has usually gone to provide access to new facilities: to new observing facilities and to expensive space projects. This has happened because of pressure from civil servants and ministers to spend more money on areas closer to technological applications and industry. Seldom is there appropriate extra money to exploit the scientific potential of these new facilities, to do the research. Extra funding has also gone to increase the number of PhD studentships, because they provide cheap, temporary research workers in universities, even if their research productivity is a little low because they are still building experience. The system has been squeezed until the pips squeek for a generation. One product of this is an extremely poor career system in basic science: in astronomy, the chances of a newly qualified PhD having a long-term career in the field is poorer than 1 in 10, it is possibly 1 in 20. While some newly-qualified PhDs do transfer successfully to industry, it is difficult for people with postdoctoral experience to move to industry because industry often regards them as being “over-specialised” or “over-qualified”. The only way to achieve sizeable funding cuts in basic would be to abandon the large technology projects, including in space, that politicians and civil servants have favoured: but that is entirely contrary to Dr. Cable’s desire to increase the industrial spin offs from research funding. An afterthought. How about extending the Haldane Principle to a logical conclusion: abolish all the funding councils and make the Royal Society responsible for disbursing all grants? No more ministerial input. Fewer executive conspiracies. I’m not sure I’d like him administering all the UK’s grants programmes. Funnily enough, if you go back a century (to before the research councils, and the Govt mechanisms that prefigured them, were set up) it actually was the Royal Society that handed out the grant money. Of course, in those days research was much cheaper to do, and much of it was actually done by final yr undergraduate students, junior academics, and visitors from foreign Univs – i.e. there were not really the equivalent of postdocs or even graduate students as we have them now. So much of what we nowadays need a grants system to fund did not exist, and the amounts of grant money that needed to be handed out were therefore relatively small. It is my understanding that the ratio of funding for 4*/3*/2* is 9/3/1. If I am correct your original point stands – there is virtually no funding for 2* research. One of the most ill-informed recent contributions on science policy came from the Institution of Chemical Engineers: a call to cut basic science to fund engineering. Were this policy carried out, it would mean a sharp reduction in funding to university chemistry and physics departments, leading to the closure of a number of those departments. The Institute of Chemical Engineers would then find significantly fewer chemistry graduates for recruitment to industry. This would damage British companies in the face of international competition, and economic activity would transfer overseas. Chemical Engineering research should be funded by the petrochemical industry out of the enormous profits it makes, not by the hard-pressed taxpayer. It’s hypocritical to complain about the Chemical Engineers when your proposal of not funding anything “commercially useful” would end *all* government support for any applied research. In comparison the Chemical Engineers were quite nice about basic research…. Would you mind telling me what’s hypocritical in what I said? What’s hypocritical is disciplines claiming their research is “more important” because it produces immediate returns when that ipso facto and at the same time claiming they need research grants rather than venture capital. And I wouldn’t end all government support for applied research, either. I’d just end the policy of directing research grants to things that should be funded by other forms of investment. One idea that struck me after writing this is that research grants should result in research that goes into the public domain or any IP gains return to the research councils that funded it rather than to the individuals and/or universities doing the work. Research funded by other means (including the enterprise loans I’ve suggested) can keep its IP rights. Well you object when someone (The Chemical Engineers) call for your area not to be funded because it seems less important to them. Then you do exactly the same thing. Call for other areas (“commercially useful”) research not to be funded because this seems less important to you than basic research. Curiously I’m replying to myself here – there isn’t a reply button under your post. And it isn’t “less important to me”, either. I never said it was. Engineering and applied science is obviously vital for many things. I just think it should be funded a different way from basic research, i.e. by business and industry.